Selling real estate today is a challenging world, where every Realtor is looking for a competitive edge. 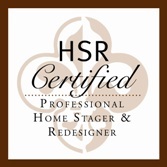 Let Home Staging services from Design Rewind set you apart from other agents. Our 2-hour comprehensive Staging Consultations ($199) show your clients what needs to be addressed prior to listing; and our extensive services address everything from assisted occupieds to full vacant stagings. The most successful Realtors in Austin stand out from the crowd; make Home Staging part of your marketing package and increase your appeal and exposure to potential clients. Call Design Rewind at 512-417-2876 to discuss your options. We look forward to helping you sell homes!